According to the Winemakers’ Federation of Australia (WFA) 2008 Vintage Survey, Australia’s winegrape intake increased by 37% from last year, reaching a total of 1.83m tonnes. This figure is significantly larger than estimations made pre-harvest. WFA chief executive Stephen Strachan said, “the figure of 1.83m tonnes represents a resounding success in a challenging year, and is testament to the resilience and adaptive nature of Australia’s regional growers and wineries”. However, Strachan warned that “with increasing pressure around water shortages, a strong Australian dollar, and a tough international market, the industry can no longer compete on price alone”. The survey reported red grapes accounted for 53% of the total intake in 2008, an increase of 45% from 2007, while white grapes represented 47% of the crush, rising 18% from last year. Pinot Noir showed an increase in production rising 63% to more than 47,000t while Sauvignon Blanc rose 74% from 2007 to more than 66,000t. The following pages include vintage reports from various regions around the country. Geographe’s season was characterised by an early warm and dry spring. 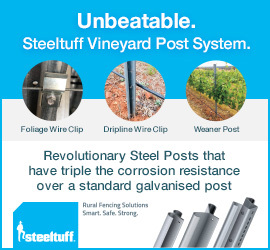 This resulted in optimum conditions for vine growth and canopies developed quickly. Flowering was even for early varieties and resulted in good fruitset. Cool and wet conditions in December further promoted vegetative growth but resulted in some poor fruitset for later flowering varieties including Cabernet Sauvignon and Shiraz. Conditions through the remaining summer months were warmer than average ensuring early maturity. Very little rain fell during ripening. Disease pressure was high due to humid and moist conditions in December. Powdery mildew pressure was high and in several sites quality was compromised. Native Marri flower was non-existent resulting in high bird pressure. The region experienced a ‘compressed’ early vintage but this evened out after cooler conditions in early autumn. White varieties produced higher-than-average yields in most varieties, due to slightly higher average bunch weights. In sites where large canopies could be maintained with good water management in the dry summer conditions, maturity developed evenly and resulted in exceptional quality and varietal characters developing in Sauvignon Blanc, Semillon, Chardonnay and Verdelho. Conditions resulted in early flavour development at low Baumés, with good acid retention. In sites with good water management and moderate yields, quality was exceptional. Red varieties had optimum conditions for vegetative growth early in the season, resulting in big canopies. Trimming and canopy manipulation was required to improve fruit exposure in many sites. The ensuing hot, dry conditions resulted in even ripening, however, in some sites the presence of green ‘shot’ berries needed to be managed. In general, yields were about average and acid levels were high. The combination of high acids, good colour and flavour resulted in excellent quality for Shiraz. The 2007-08 vintage was characterised by above average winter rains and a few late spring falls. Average spring temperatures resulted in a timely budburst and excellent vine growth. Above average temperatures in January and a heatwave on Boxing Day (45.5°C) resulted in berry shrivel on some varieties. There was a little rainfall during the summer period, and although there were some humid days, all fruit was disease free. The high summer temperatures and warm evenings meant fruit ripened earlier than previous years, with good flavour, but slightly lower acidity. Harvest started in late January and finished by the end of March, by which time all fruit had been harvested except fruit intended for fortified wines, which succeeded in attaining good sugar levels. Most pleasing for Swan Valley winemakers were both white and red wines characterised by full flavours, with reds having excellent colour and tannins. Particularly impressive was the quality of Verdelho and Shiraz. Base wines for fortified styles displayed excellent fruit character and achieved the high Baumé levels expected. Overall, the quality of fruit was good, but most producers found themselves 20-30% down in terms of crop level. All fruit was sold without any problems for good, fair rates for the varieties. The ripening period for the 2008 Margaret River vintage was marked by a lack of disease pressure, due in part to relatively few days of humidity and rainfall post-veraison. Overall, yields for 2008 whites were marginally down on 2007, but considerably higher for reds, although still below historical averages. Indications to date suggest that there was probably more yield variation between vineyards than would normally be the case in any other year. Whites showed intense varietal flavours, well-concentrated and generous with balanced natural acidity. At the time of writing, the pressed reds again showed a great depth of varietal characters, and good to excellent colouring with low pH. Quality is as good as Margaret River gets due to the evenness and mild ripening season for both reds and whites. Vintage 2008 wines will cellar well, with flavours being seen as balanced yet intense. This year’s wines are being compared with those of 2001 and 2004. The standout feature seems to be Cabernet Sauvignon; deep and dark red colour, accompanied by soft tannins and a lack of ‘jammy’ characteristics in final samples and crush. Vintage 2008 began early in the Great Southern, in the last week of February, as opposed to beginning most years in the second week of March. An early burst of very hot and humid weather seemed to signal most varieties to ripen quickly. Fortunately, after four days the weather reverted to a more normal pattern for the time of the year, with mild, warm days and chilly nights. The change of temperature slowed the ripening pattern, and while it was still early by about a week to 10 days, there was a respectable distance between ripening for the different varieties. Initially, wine producers were concerned about the lack of sub-soil moisture from the previous below average winter and spring. At the time of writing, I had the pleasure of tasting some of the new season’s whites that were almost ready to bottle. This year’s wines are exciting and similar to the 2005 vintage, which was exceptional in the Great Southern region. One thing that characterises both the whites and reds are the flavours and, overall, the alcohol levels of the wines are far lower than in recent vintages. Cropping levels were slightly lower than average across the region. In the cross-section of wine producers I spoke to, most said they produced about 75% of the normal long-term average per acre. Producers and winemakers are happy with the end result. The 2008 growing season commenced with cool spring weather and relatively dry soil profiles. Early spring growth was somewhat inhibited by these conditions, however, warmer early summer conditions soon produced well-balanced canopies with excellent fruitset and bunch numbers across red varieties. Some of the white varieties produced below average bunch numbers. The 2008 vintage was looking like returning to ‘normal’ after several condensed vintages, with the whites harvested under ideal dry and mild conditions. Sauvignon Blanc and Riesling looked particularly good and produced above average yields while maintaining excellent quality. Chardonnay and Pinot Gris yields were average but quality was strong. South Australia’s record heatwave then precipitated the fastest red harvest in the region’s 35-year history. Currency Creek’s cooling maritime climate buffered the temperatures to some degree, and the timing of the heatwave meant that varietal fruit characters were well-developed before the rapid rise in Baumé levels took effect. Shiraz and Cabernet Sauvignon yields were down slightly on average while Merlot yields were around average. From a quality perspective, Cabernet Sauvignon was the most affected and was harvested much earlier than usual, even while the whites were still coming off. Shiraz was less affected and Merlot less again due to its naturally later maturation cycle. Overall, the region’s naturally cool orientation has produced some bright wines with lifted flavour profiles in a season where these characters are generally in short supply. A cool and wet finish to the vintage brought some relief for the later red varieties. Grenache and Petit Verdot seemed unaffected by the earlier heat. As with all regions, the compressed nature of the 2008 vintage posed difficulties from a logistical point-of-view for the Currency Creek wine region but the end result has shown pleasing wine quality in difficult circumstances. Riverland Wine Industry Development Council Inc. The 2007-08 growing season presented itself as one of the most difficult experienced in the Riverland. The industry, recently challenged by winegrape over-supply issues, was next confronted with highly constrictive drought-driven water allocations, where allowance was lifted from 13-16% for much of the period leading to veraison. A late reprieve was received in December 2007 when allocations increased to 32%. While the increase was welcomed, many considered this a little too late in the season. Despite carry-over and water leasing, growers were compelled to make some tough decisions about their vineyard management. Heatwaves in both December 2007 and March 2008 compounded the difficulties, but effective canopy management acted to ameliorate the effect of windburn and sunburn. Another especially dry growing season led to little in the way of vine health issues; some reported powdery mildew and isolated primary infections of downy mildew, but these were exceptions. Showers in January were a cause for growers’ concerns on berry split difficulties, but the region escaped without any real problems. Vintage got under way in the Riverland with sparkling varieties picked in early January, and harvest wrapped up by early April with the late ripening varieties such as Petit Verdot. Despite the sometimes extreme growing conditions, many wineries were pleased with most parcels of the resultant fruit that they received, with Shiraz tending to be singled out as one especially well-performing variety. The Riverland continues to play a crucial role in supplying fruit for Australia’s most popular wine brands, and has a developing boutique wine industry that has made great progress with minor varieties – especially those with Spanish and Italian origins. The record 15-day heatwave interrupted perfect vintage conditions in McLaren Vale in 2008, causing the most condensed harvest in the region’s history. Vintage started in the first week of February, slightly earlier than average. Cool and dry conditions during berry ripening were conducive to excellent flavour, colour and phenolic development. All white varieties were picked prior to the start of the heatwave in March and displayed strong varietal character and crisp acidity. Much of the premium Shiraz was also off the vine before the heat, with high natural acid due to the cool early summer and the large canopies. The prolonged heat placed pressure on wineries to process fruit quickly and forced some producers to look outside of the region for crushing services. There was some berry shrivel and high Baumé levels caused by the heat. Approximately 5% of fruit was left on the vine as it was unable to be processed in time. By the end of March the bulk of the harvest was complete, which is exceptionally earlier than normal, with vintage normally persisting until the end of April. Despite the challenges, the region’s leading winemakers and grapegrowers are confident that the resulting wines, branded McLaren Vale, will be of the award-winning standard for which the region is renowned. Again, it was an early, compressed vintage period for Langhorne Creek with harvesters rolled out at the start of February and all but packed away by the end of March. This year has been a vintage of extremes and logistical chaos, to say the least, but resulted in a surprisingly good tonnage and some excellent parcels of fruit. Yields were above average for most varieties, particularly whites. The first half of the vintage was tremendous with excellent, mild and dry climatic conditions throughout February. The grapes possessed high natural acidity and flavour development in white varieties and wonderful characters in early-mid ripening Shiraz and Malbec. As with many South Australian wine regions this year, the second half of vintage would be best described as varying between terrific and disastrous as the record-breaking March heatwave gripped the State. With fruit dehydration and sugar levels never before experienced by growers or winemakers, the pressure was on to harvest quickly and minimise damage if at all possible. It is estimated the last 20-30% of the vintage was severely heat affected. Cabernet Sauvignon, in particular, suffered across the region. The 2007-08 season was again a difficult one in that, after a winter of reasonable rainfall, there was a continuation of drought conditions through summer and then a prolonged period of particularly hot weather in early March that impacted on fruit maturity. Winter was relatively mild with temperatures being slightly above average. There was good rainfall recorded through winter, continuing into spring. In early spring there were a couple of light frosts that resulted in a little damage to a couple of small areas, but generally did not result in any significant crop loss in the district. In late spring and early summer, average maximum temperatures were a degree or two above average, ideal conditions for early vegetative growth and fruitset. There were a couple of hot days experienced in December and January, with average minimum temperatures close to normal. These conditions were ideal for the developing fruit. February was somewhat cooler than average and this provided a perfect start for vintage. Early March turned very warm to hot and these conditions hastened fruit maturity significantly. Adequate supplies of irrigation water were available for all irrigators throughout the season. The start of vintage was a few days earlier than last year when Pinot Noir was harvested for sparkling base. Vintage had concluded for most viticulturists by the end of March, some two to three weeks earlier than normal. There was some fruit for dry table wine remaining to be harvested in the first week of April and some of this was not harvested until the middle of the month. Fruit quality has generally been very good and some excellent wines, both red and white, have been produced. The very hot conditions in early March hastened the ripening of fruit and there was an intensive period of harvesting as vineyards and wineries sought to harvest at optimum maturity. On behalf of the Mount Benson Vignerons’ Association Inc. The 2008 vintage in the Mount Benson wine region has brought smiles to everyone’s faces. All the fruit from the region sold and yields were slightly above average. The hot, dry conditions were a blessing, not a curse, and the winemakers are excited about the wine quality. The wines are our best ever with great, ripe fruit flavours and acid retention. The harvest started in February this year, the earliest date reported in the district. A lot of vineyards finished harvest before harvesting had even started in previous years. Some fruit was delayed because of processing bottlenecks in wineries outside the district. However, no over-ripe Baumés were experienced and the fruit held on well. There has been an increased interest in fruit from the region, particularly the white grape varieties and all growers cleared all the varieties. Yields were slightly above average for all varieties except Cabernet Sauvignon where the tonnage was light. Small pockets of frost damage were reported early in the season. The fruit was lost on the white varieties in these areas. However, the red varieties set a big second crop which was harvested. The rainfall for the season was well below average. However, the distribution was good and the vineyards went into summer in good health. The early heat slowed the vines and caused only minor stress which did not affect yield. The extreme heat of February was tempered by the cool ocean breezes and none of the negative effects reported elsewhere were noted. Wines from this vintage are outstanding, the best vintage in the district’s short 20-year history. The whites are exceptional with acidity, perfumed ripe fruit, depth of flavour and complexity. The reds have great colour, soft ripe tannin and are highly aromatic. Mount Gambier Regional Winegrowers’ Association Inc. The extremely dry 2006-07 season and devastating frosts of the spring period were in the back of many growers’ minds as they waited to see how vines would recover from the hammering they had taken in the previous season. The 2007-08 season started well. There was rain and vines recovered well from one frost event in late September, causing some damage to the early varieties, particularly Chardonnay, in a number of vineyards. In marked contrast to the previous season, the spring period saw ideal flowering conditions and great optimism. Early indications were of good fruitset in all varieties, with expectation of average yields. The summer was mild, as it frequently is in the lower South-East, with very little rain and no disease problems with fruit gently ripening. All was going well until, along with the rest of South Australia, the region experienced a prolonged hot spell in early-to-mid-March, causing sugars to skyrocket, fruit destined for sparking base reassigned for dry reds and severe strain on winery and transport infrastructure. In late March the rain came, temperatures dropped and Baumés went backwards, with some later varieties not picked until mid-May. In balance, 2008 was a good year with excellent fruit, particularly the Sauvignon Blanc and Pinot Noir. Yields were average to above average with corporate winemakers highlighting the strength of the region’s quality. In contrast to the previous year, this season started with excellent budburst and strong early growth, a few frosts that had localised impact and otherwise fine conditions. Warm to hot weather and one key rain event dominated the period to Christmas, meaning excellent fruitset and shoot growth. Extreme heat was experienced for the month of January, followed by a coolish February, and a very hot March. April was mild with a slight improvement in rainfall. Vineyards (in the main) responded well in the spring, with excellent budburst and spring conditions conducive to strong growth. A good rain in November set the season alight, delaying irrigation and promoting excellent shoot length. The hot January and cool February saw early vintage varieties begin on time with the later red varieties ready to be picked early in March, up to four weeks in advance of normal picking times. This effectively compressed the vintage from 12 to six weeks, creating many logistical challenges – the level rarely experienced before. Deficiency symptoms were few, but fungal disease pressure was high with powdery mildew prevalent and the November rain created a downy event. Lightbrown apple moth activity was limited while vine moth was active late in the vintage but not problematic at all. In total, approximately 25,000t were crushed this year, which is almost exactly the region’s targeted tonnage across all varieties. No fruit was left unsold this year. Early reports are that this vintage has been strong across all varieties, with notable highlights reported from all producers and few disappointments. The yields for most vineyards were close to the long-term average, bringing welcome relief after the low yields in 2007. The impact of the isolated frost damage that occurred early in the season was not as bad as first thought and significantly less than 2007. The dry conditions throughout the growing season resulted in low disease pressure. The growing season was warmer than average, with February being the only exception with below average temperatures. The whites benefited greatly from the cooler-than-average February temperatures and developed powerful yet elegant fruit characters with a fine crisp line of acid through the palate. The majority of the whites were also harvested before the hot conditions in March. The cooling influence of the strong maritime climate, good water resources and careful irrigation management played an important role through the hot conditions in early March. This allowed good, functional canopies to be maintained until harvest. The reds are showing great depth of colour, distinct varietal aromas and fresh vibrant fruit flavour. Cabernet Sauvignon is the strongest performer from the region in 2008 with classic blackcurrant, mint and tobacco characters. Despite everything, ‘it wasn’t too bad’ seems to be the consensus for vintage 2008 in the Murray Valley. It started ominously, with the zero water allocation announced on 1 July 2007 being the harbinger of a season in which growers were forced to make do with less. Growers were sweating on getting enough irrigation water to produce viable crops. With water allocation announcements generally delivering only modest increases, growers who had the means were forced to buy supplementary water. At one stage, the water market valued 1ML at more than $1000 and many growers were compelled to buy water at this price. 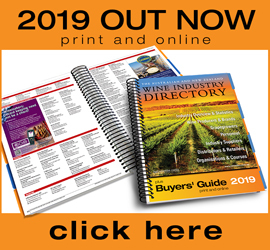 Murray Valley Winegrowers’ (MVW) encouraged wineries to disclose proposed 2008 prices early to help growers decide whether a large investment in water could be justified. Many wineries complied, but several months later, confirmed pricing arrangements left growers believing they had been misled. By mid-January, growers in the Victorian Murray Valley were trying to manage with an allocation of about one-third of entitlement. It was a different story for growers in the NSW Murray Valley. They were still operating under a zero allocation policy, but had received water to meet so-called ‘critical’ needs, on top of which half of the water that had been suspended without warning ahead of the 2007 harvest had been returned. Given the dire situation regarding water, and the fact that at least half the Murray Valley’s 1200 growers had not bought more, it was a difficult season in which to forecast yield. Very hot conditions blanketed the region in late December and early January, followed by relatively mild conditions prevailing until early March when a string of 35°C days and above were recorded, ending 19 March when the temperature plummeted to barely 30°C. Very little disease was reported through the season and fruit quality, provided a reasonable irrigation program had been possible, was generally very good. Winemakers said they’re really pleased with the whites this year. The reds, too, particularly those harvested before the heatwave in early March, have been praised. Shiraz was said to be a stand-out. Geelong experienced a successful vintage. Crop levels were generally up from last year with excellent quality. As has happened for the last few years, vintage began early, with some varieties finished by Easter. With the sudden onset of very hot weather, ripening occurred with a rush, presenting wineries with challenges of scheduling. Then things slowed right down, and in some vineyards varieties such as Shiraz were not harvested until May. Now we are enjoying a sunny and warm post-harvest, but would be happier if there was some rain! A dry start to the growing season, along with zero water allocation, meant that purchasing water was a necessity for growing grapes in Perricoota in 2008. This was an extremely significant cost, with the water price reaching more than $1000/ML at the time most growers were looking to secure their water for the season. Rains in November through to January improved inflows lightly, which eventually gave us a small allocation of 20% of our high security water and the return of the suspended water. Generally, yields were average in 2008, provided a normal amount of irrigation was applied. Harvest commenced at the end of January and the white varieties were of excellent quality, with mild conditions enabling consistent ripening and cool nights for harvesting. The red varieties were also of excellent quality, despite a heat spike at the end of the season which put the pressure on all harvest and winery operations in the region. However, after some long nights, full fermenters and juggling tanks we managed to take all the fruit off at a suitable ripeness. The 2008 vintage, despite the obstacles of drought and heat, has produced excellent wine throughout Perricoota. The year started with good rains at the beginning of February. This was a welcome relief from the two hot spells the region received, one before vintage and the other in the middle of vintage. Crop levels were higher than most vineyards expected due to the February rain filling out bunches and berries. Disease was not a major problem this year although powdery is always a challenge in some varieties. The speed of the vintage did cause a few anxious moments. Reds seem to stand out at this stage with one winemaker reporting that the early ripening of Nebbiolo has produced a wine of excellent flavours. On behalf of the Yarra Valley Wine Growers’ Association Inc. This season has generally produced favourable growing conditions for vineyards with no major disasters. Early growth looked good and was well advanced due to the warm, dry, spring conditions. Most of the frosted vineyards recovered surprisingly well and favourable flowering conditions resulted in a good set for most varieties. Some timely rainfall (50–100mm) was a greatly appreciated early Christmas present for many vineyards that were running short of water. Rainfall was generally well below average for most of the spring and summer apart from December. Temperatures were again above average for most of the growing season which produced another early vintage. Some very hot temperatures in late December and January caused some vine stress and sunburn. February weather was dry and mild for finishing off early varieties. Wine quality for early varieties such as Sauvignon Blanc, Chardonnay and Pinot Noir has been reported as very good. A hot March saw rapid ripening of red varieties and some vine stress became evident due to low irrigation water availability, particularly in the lower Yarra Valley. However, fruit remained sound and some good quality has been reported. Sparkling base harvest began early again (early February), as did table wine harvest (mid-February). Overall, crop levels are good and production should be on or above average. Most areas had finished harvest by early April. Powdery mildew has been a major problem again this season, mainly due to the warm, humid December weather, dense canopies, and poor spray penetration/coverage. Mites, mealybugs, botrytis and some late lightbrown apple moth have also caused some isolated botrytis problems. The 2008 vintage in Mildura had ideal conditions. The weather supplied great ripening conditions for the grapes this year. The January mean temperature of 33.7°C was slightly warmer than 2007, however, not as hot as 2006. February and March were slightly cooler, allowing better conditions for the final stages of ripening. Farrell Estate Wines was able to hand pick its fruit, therefore selecting only the best quality fruit for the wines. Vintage commenced with the third crop from ‘3 acre’ Chardonnay vineyard, harvested on 26 January, two weeks earlier than previous years. The fruit was excellent with harvest taking place when flavour was at its optimum. Our red varieties ripened very quickly with our Merlot, Shiraz and Cabernet Sauvignon all ripening within two weeks of each other and the majority coming in together. We were very lucky to have all our grapes for table wine off before the hot days that we experienced in early March. Therefore, we did not have any issues with soaring Baumé levels. All varieties are showing excellent colour, ripe, firm tannins and superb fruit characters. The Cabernet Sauvignon this year is looking exceptional. Farrell Estate Wines has made it through a vintage most would call tough, but with water allocation, the region has produced volumes equivalent to the 2006 vintage and within the marketing forecast. The hot days in March allowed for excellent ripening conditions of the winegrapes for fortified wine production, as the grapes had the cooler conditions to produce strong fruit characters. The hot spell allowed the Baumé to increase to desired levels. The short report for Gippsland is that it all happened early and very quickly. In the west, harvest began with Sauvignon Blanc mid-February and while most of the grapes were picked by April, some southerly-facing slopes held fruit until early May to ensure full ripeness. In South Gippsland most fruit was harvested before the usual time of starting, a full month early for the zone. It was the same in the east where vintage began mid-February and was completed by Anzac Day. The fruit there was in top condition averaging 24°Brix. The heatwave that brought harvest times forward also played havoc with the collapsing timetables of winery schedules. One winery had to commission a new press and a whole new undercover receiving area. Wineries also had to find inventive ways to keep grapes cool until they could be handled, and there was high pressure on storage capacity. Quantity of fruit was back up to average, remembering that the region had suffered below average yields for the past two years. When more of the replantings and regrafted vines begin to bear we can expect yield to grow steadily. Overall, wineries were pleased with the quality of the fruit this vintage. In the east, the Cabernet Sauvignon showed good fruit definition. Across the region the Pinot Noir also looked good, if lightly structured this year, and came in early. Shiraz also benefited from the heat and produced excellently-structured wines across the region. For the South Gippsland wineries, besides some strong Shiraz and Pinot Noir, the Sauvignon Blanc and Riesling developed good aromatics and unwooded Chardonnay showed forward fruit characters. A strong development this year is in the number of sparkling wines. In the west, the demand doubled and there were just as many enquiries for forward contracts. Another interesting growth has been in plantings of Pinot Grigio. The disease effect on vineyards was isolated to a few areas but was disastrous where it took hold. Powdery mildew hit both Central and East Gippsland. Botrytis in the east raised the cost of picking as the affected fruit has to be dropped before harvest. In some cases, crop losses were up to 50%. The east also faced the dual pressures of silver eyes and wasps so the vintage was perilous at best. Netting helped in most cases but the Tasmanian silver eyes were starving when they hit Gippsland and could slip though netting which would normally block them. Next year’s Gippsland Wine Show will be worth watching. Like much of Australia, the 2008 grape harvest in the Pyrenees was early and compressed compared with historical averages. However, for those who did not run out of water it was a welcome return to above average tonnages and quality. Average autumn and winter rains during 2007 recharged the soil and provided valuable run-off for water storages after a long dry spell starting in early 2006. This was followed by a cool, dry spring and then some superbly-timed summer rainfalls in November, December and January. From a viticultural point of view such rains at flowering, set and veraison mean the difference between below average and above average vine health and resultant crop levels. The majority of the growing season was certainly cool, until the onset of central and western Victoria’s customary latent summer heat in March, which saw a rapid ripening of the remaining grapes, some record high sugar levels and some loss of crop due to dehydration. Rain at Easter in late March prolonged the very end of the harvest. Sparkling and most white wines were harvested in ideal cool nights and mornings during February 2008. These wines show the delicacy, flavour intensity and acid retention of a fine, cool growing season with little disease pressure, highlights being Pinot Noir, Chardonnay and Sauvignon Blanc. Early-harvested red wines, particularly Merlot and Shiraz, picked in late February and early March show amazingly intense colour, powerful ripe flavours and a structure that will last well beyond the norm. Later picked reds endured dehydration, then rainfall, but still managed good outcomes, particularly Cabernet Sauvignon. However, history shows these wines may not hit the heights of those picked pre-rainfall. In summary, the 2008 grape harvest may well go down in history as one of the most difficult to manage but those that did manage and were reactive to the conditions are extremely happy with the results. The Pyrenees region, with none of the winery processing logjams reported in larger regions, was better suited to deal with the compressed harvest than many other areas of Australia. 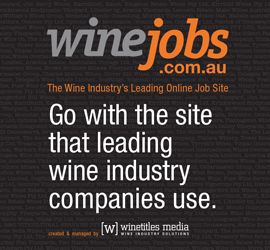 Hunter Valley Vineyard Association Inc. The 2008 vintage weather in the Hunter Valley was a test, but this winemaking area has variable harvest conditions from year to year, so it had not really been unexpected by the older winemakers in the community. The Hunter Valley had some interesting weather changes in 2007, starting with the flooding rains during the long-weekend in June when the Hunter region received about 330mm of rain in 36 hours. As a result of these falls, the sub-soil moisture levels in the vineyard were excellent into the start of spring. Moderate conditions continued through spring and into early summer, with 190mm of rainfall in November, and then a further 150mm in December. Leading up to vintage, this mild weather allowed for healthy vineyard growth and the development of a generous crop, approximately 25% higher than in the previous years. Fruit balance was excellent on the vine, with this mild weather producing fine fruit drive and retaining bright acidity. The significant Hunter white varieties of Semillon, Chardonnay and Verdelho reached ripeness at about the same time during the week of 14 January, slightly earlier than usual. The Valley was swept by rain just before picking (recording 117mm between 18-26 January) so the start of harvesting was generally delayed into the next week. The cooler summer weather provided a zesty and elegant fruit balance, in keeping with the elegant vintages of 1999, 2001, 2002 and 2004. The alcohol levels are slightly lower, but the flavour and varietal definition are very positive. By the end of January, the Hunter region had completed most of the whites except for botrytis (late-harvest) blocks, and had the anxiety of watching the weather again turn to showers and storms. The area recorded another 150mm of rain in the first 14 days of February. The return of wet weather coincided with the start of the red harvest, and the challenge became the protection of the premium vineyard blocks. The showery weather abated after the 15 February, and the Hunter could finally rejoice in warm, sunny, breezy days that were ideal for red fruit ripening. The dry weather continued until 27 February, and allowed many vineyards to complete the red fruit harvesting. The consensus is that while the rain has caused early problems in the vineyards, the Hunter has been able to produce smaller premium parcels of excellent Hunter red. The better varieties have been Shiraz, which again has shown its capacity to cope with such changeable weather, and Merlot, which has also been a surprise with its overall quality consistency. Orange Region Vignerons’ Association Inc.
A cool growing season, good rain and a warm finish proved to be close to ideal conditions for the Orange region. As some growers put it, the 2008 vintage rebounded surprisingly well after a disastrous 2007. With the return to a cooler summer and a deeper winter, we saw excellent fruit quality and quantity across all varieties. The season was early again but not as early as 2007, perhaps a week earlier than average. Cool conditions in February gave way to a warm March and April that saw good flavour development coupled with good natural acidity – in some cases growers were holding off picking to let the acids come down. There was some disease pressure in the whites due to the wet weather in February but a dry March allowed this to be controlled. Sauvignon Blanc showed great fruit intensity and Chardonnay yielded well, with average to above-average crops of excellent flavour. It is ideally suited to the region. In the reds, Pinot Noir, Shiraz and Cabernet Sauvignon all performed well. Merlot and Cabernet Franc displayed great fruit flavour. Mudgee Wine Grape Growers’ Association Inc. The 2008 vintage was a challenging one in Mudgee, but not in the way that was expected at pruning time 12 months ago. Availability of irrigation water was the major concern early in the season, but frequent rain from mid-October meant little irrigation was required. The heavy rain and cool temperatures also created many disease problems in the region, with downy mildew and powdery mildew prevalent early on, and then botrytis as fruit ripened. Bud fruitfulness was up on most varieties (significantly so in Shiraz) and the plentiful soil moisture saw bunch weights climb well above average, resulting in massive yield forecasts prior to vintage. Unfavourable weather conditions, along with a late lightbrown apple moth invasion (something not seen in the district for years), saw serious losses of fruit as sugar levels developed. Harvest began in late January, and the bulk of fruit was harvested by late March, which is an average start time, but an early finish. Early whites faired okay and most Merlot was picked soundly, but Chardonnay and Shiraz were drastically affected, and much was not picked. Overall, tonnes into wineries were below average, and certainly way below forecasts prior to the vintage rain. A difficult and disappointing year, but growers are looking to a more positive 2009 vintage. Helm Wines located at Murrumbateman experienced dry, warm conditions from early February to the last day of harvest, then enjoyed 20mm of rain. The 2008 vintage was a record crush for Helm Wines (over 60t) which included 2000 cases of Riesling. The 2008 Rieslings will be as good as the outstanding 2005 vintage. The Canberra district yields are up 15-20% more than usual, but retain excellent acid, high sugar levels and ripe fruit flavours. The excellent vintage was caused by good, late spring-summer rains, and a green Christmas – an unusual event for normally dry, brown Canberra. Temperatures remained warm to hot, with a mid-February hot spell that ripened fruit quickly. but also had to contend with a feisty Mother Nature. The continuing pressure from the drought seriously impacted on water availability, with yields and vine health suffering accordingly. Compounding this problem was the cool, showery weather that prevailed throughout vintage. The high number of rain days coincided with very little sunshine hours which slowed ripening and eventually led to some dilution events. Verdelho took all the above in its stride and flourished in the cooler conditions. Chardonnay and, to a lesser extent, Semillon all achieved good quality outcomes, especially if canopies provided airflow to quickly dry fruit after a rain event. Clovely Estate and leading regional contract winemaker Luke Fitzpatrick said, “Cooler than usual temperatures allowed the white varieties to maintain high levels of natural acidity and corresponding low pH values. Strong primary fruit characters were maintained to harvest producing some exceptional quality Verdelho and Chardonnay”. The reds suffered more simply because they spent more time in the adverse weather than the whites. The tough-skinned Barbera and Petit Verdot varieties performed well. Cabernet Sauvignon and Merlot struggled to reach phenological ripeness but, once again, if canopy management was good, fruit quality was sound and flavour profiles were acceptable. Shiraz was severely tested by the frequent rain. Bunches stayed wet for long periods and skin condition deteriorated over time, forcing growers to pick early or not at all. The bonus of this difficult season has been the performance of the double pruned fruit, especially the Shiraz. Moisture provided through January and February has helped create the ideal growing conditions for this variety. Strong yields coupled with healthy canopies have seen this concept continue to flourish. Fruit was harvested throughout May with idyllic ripening conditions; day time temperatures between 25-30°C, night time temperatures between 10-15°C and plentiful sunshine. It could be quite ironic that, in what was an extremely difficult 2008 vintage, some exceptional wines should come to the fore. The Tasmanian vintage started in late February and finished in the first week of June. Yields were in the upper range with bunch weights appearing to be similar to 2004 and 2001, which should give Tasmania a record harvest of approximately 10,000t from 1300ha. Tasmania experienced clear skies and above average day and night time temperatures, leading to ripe fruit and good flavours. Sparkling fruit was harvested from late February starting with early ripening blocks of Chardonnay and Pinot Noir. The sparkling harvest proceeded through March to early April. Despite warm conditions peaking on 17 March, grape composition was close to ideal. White varieties ripened in unusual sequence. Riesling was particularly early, but of excellent quality. At this stage, whites are showing very good, clean, varietal characters at lower Baumés. The season was virtually disease free. Pinot Noir accounts for more than 70% of red grape plantings in Tasmania. The harvest of this variety for table wine started in mid-March and reached a peak in mid-April. In cooler areas fruit was still being harvested in mid-May. Much of the Pinot Noir was picked at ideal ripeness with good acidity and low pH. The 2008 New Zealand grape harvest rose 39% from 2007 to 285,000t. According to New Zealand Winegrowers 2008 Vintage Survey the jump is due to a combination of an increased producing area and favourable growing conditions. New Zealand Winegrowers chief executive Philip Gregan said the increased harvest was a “real opportunity to grow sales in new and existing export markets in the year ahead towards New Zealand’s target of NZ$1b of exports by 2010. At the same time, the larger harvest will present a challenge to winery sales and marketing efforts to ensure that New Zealand’s premium image continues to go from strength to strength”. Sauvignon Blanc showed a significant increase, and Pinot Noir and Pinot Gris are showing strong export sales, while Chardonnay was smaller than 2007. The Nelson harvest started about two weeks ahead of normal due to the long, warm summer. We had settled weather during flowering/fruitset, so crop levels could be termed ‘a nice average’, though some sites were affected by a frost on 18 October and, therefore, early varieties such as Pinot Noir were down for some growers. After a summer drought, we had a couple of dollops of rain in the last month or so, but botrytis was only really evident in tighter bunches where berries were being squeezed. A settled and warm fortnight in the lead-up to harvest saw any such botrytis dry off into raisins. At Waimea Estates we started harvesting Sauvignon Blanc on 17 March. Sauvignon Blanc flavour ripeness occurred at lower Brix levels, like 2006. This may well be the case in other varieties , allowing lower alcohols in Pinot Noir, Chardonnay and also Riesling: always a welcome result. By the Canterbury Wine Growers’ Association Inc.